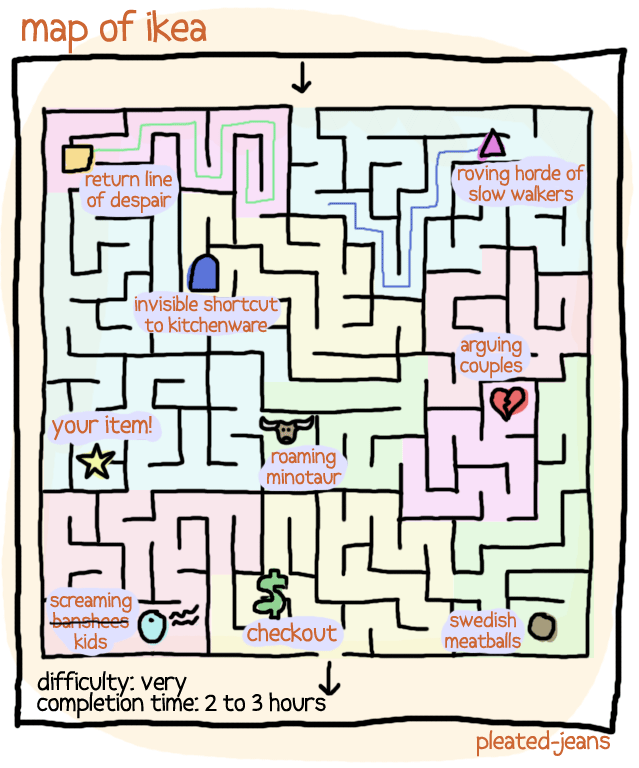 Anyone who has been to an Ikea knows the hell of their shop layout. The maze of corridors and random flat pack furniture is hellish. This cartoon by Pleated-Jeans plays on this, personally I’ve yet to find the roaming minotaur but maybe that’s because I tie together those free tape measures they have so I always know my way back.